High Temperature Heating | Metro Services Inc. Furnaces form a major part of industrial heat treatment equipment and are used in metallurgical, engineering and industrial manufacturing applications. Glass, steel, iron, aluminum, plastics, textiles, die-casting and foundry are just some of the industries that use industrial furnaces, ovens and incinerators. Metro Services, Incorporated has a burner for each of these applications. Eclipse Model SER Single Ended Recuperative burners incorporate the components of a tube firing burner system in a compact package. 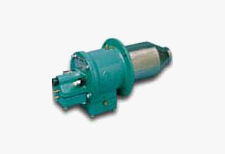 The SER burner is a nozzle mixing burner and recuperator coaxially mounted inside a single-ended radiant tube. Combustion air entering the SER burner is preheated in the recuperative section by exhaust gases providing higher efficiencies than stand alone burners. 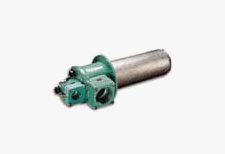 SER burners are available in four diameters from 3-1/4″ to 7-1/2″. Radiant tube length is tailored to the application. Suitable for use with exhaust streams up to 2100°F, Bayonet-Ultra recuperators are high efficiency heat exchangers designed to fit into the exhaust leg of single, U, O, W or Trident-type radiant tubes. They’re frequently paired with ThermThief burners to provide fuel savings up to 30%. Conventional recuperators have only one heat transfer tube. Each Bayonet-Ultra contains multiple tubes to dramatically increase the heat transfer area while significantly decreasing the amount of fuel required to maintain required heat levels. Plus, an air cooled housing cools the work area. 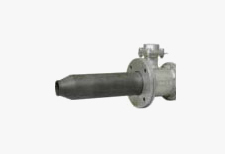 Eclipse Spiral Flame Burners are nozzle-mixing burners designed to produce a rapidly spinning flame that spreads out evenly over the surface of the combustion block and surrounding furnace wall with virtually no forward velocity. This permits the burner to be placed close to the work load without flame impingement. The radiant heat from the block and wall surfaces minimizes hot spots and promotes temperature uniformity in the load. 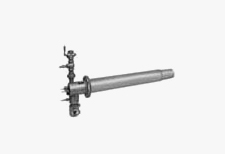 Eclipse Extenso-Jet burners are nozzle-mixing medium velocity and high velocity burners with extended housings for firing kilns and furnaces with thick walls and crowns. Extenso-Jet burners have also proven useful on special applications where it is necessary for the point of heat generation to be remote from the burner housing. 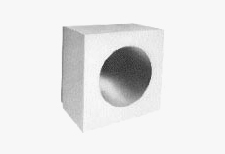 A good example is the curing and preheat of the channel lining in induction melting furnaces. The TJ burner comes in two types: High Velocity (HV) and Medium Velocity (MV). The gas velocity can be as high as 500 ft/s (150 m/s) for the HV, and 250 ft/s (75 m/s)for the MV. The ThermThief’s unique nozzle creates an intense, adjustable length flame with a vigorous spinning action. The flame scrubs the inside of the fire tubes to remove the gas film boundary layer and increase heat transfer effectiveness with outstanding temperature uniformity. Not only does this contribute to longer tube life, it also ensures consistently uniform product processing. 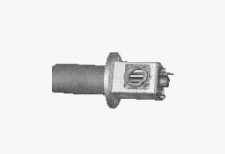 The SW Sidewinder Flat Flame burner is a nozzle mix excess air burner designed for radiation heating. Because of the shape of the burner block, the flat flame will directly radiate to the load. The SW is an ideal burner for high temperature furnaces and heat treat furnaces. This HOT SHOT burner produces a very high velocity of the combustion products out of the burner block. This jet generates a very efficient combustion as well as an excellent heat transfer through the combustion chamber or a deep penetration of the heat even through dense loads. The combustion is adjustable between 500% excess air and 15% excess fuel. Typical use: ceramic kilns, wide heat treat furnaces etc. 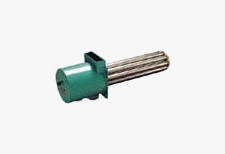 The MB Metallic Burner and the burners with silicon carbide combustion tube are light weight Nozzle-Mix Burners. Its unique design with a wide range of flame temperatures makes it ideal for a large variety of on ratio and excess air operations. 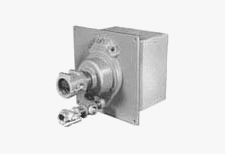 The HMB High Momentum Burner is designed to achieve low NOx levels at process temperatures of 1400°F (760°C) to over 2700°F (1480°C) with cold or preheated combustion air up to 1000°F (530°C). Products of combustion exit at velocities over 400 feet per second (120 m/sec). 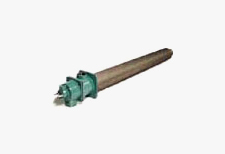 The burner features a self-supporting firing tube allowing easy installation into either brick or fiber lined furnaces. 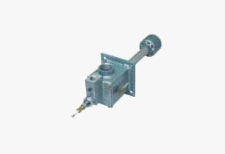 This burner is designed for high temperature radiation from the burner block. 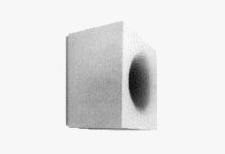 Because of the shape of the block, the RED EYE focuses the heat to the load. 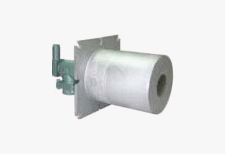 Ideal for forging furnaces, melting of non-ferrous metals. For “U”, “W” and similar type tubes from 4 inches (ND 100) through 8 inches (ND 200) diameter UHF burners are part of a custom designed combustion system. When supplied with plug type recuperators as part of the system, combustion efficiencies of 60-65% are typically achieved. 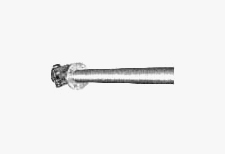 Single End Recuperative Radiant Tube Combustion Systems are available with either conventional alloy tubes (3.1/2 inches – ND 83 – to 8 inches diameter – ND 200) or with newly developed High Performance silicon carbide (SiC) materials (3.1/4 inches – ND 83). Custom designed systems allow efficiencies of 60-70%.